I don't know about you, but I hate making multiple trips to and from the car to bring in the groceries. I also like to balance a lot on the stroller when we head to the mall. Today I wanted to share a product with you that makes this insanely easy and possibly, The Mommy Hook! The Mommy Hook is basically a very large, padded carabiner that helps a mom's poor, full arms out! There are so many uses for it! I LOVE that it saves your poor arm when carrying in the groceries. I always try to load up all the bags on my arm and it hurts! In this picture, I have 5 grocery bags all on The Mommy Hook, AND I was able to get out my phone and take a picture! Yes, it was heavy, but much more comfortable than trying to pile them all on my arm like I usually do. We haven't had the stroller out lately, but The Mommy Hook is fabulous for attaching to your stroller handle and adding on shopping bags and such instead of trying to shove everything under the basket of the stroller. I did use it in the grocery store the other day to attach the shopping bags to the cart instead of them getting lost under the groceries. It was fabulous. I'm keeping The Mommy Hook in my purse. I never know when I'll need it! You can find the Mommy Hook at these fine retailers! It's just $7! Totally worth it in my book! The Mommy Hook graciously provided a hook for me to try out for this post. The opinions are all my own, however. 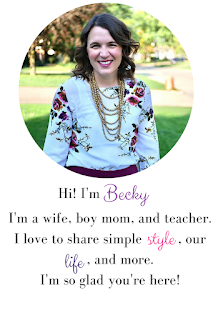 They are also giving away a Mommy Hook to TWO lucky bybmg readers. Enter below! 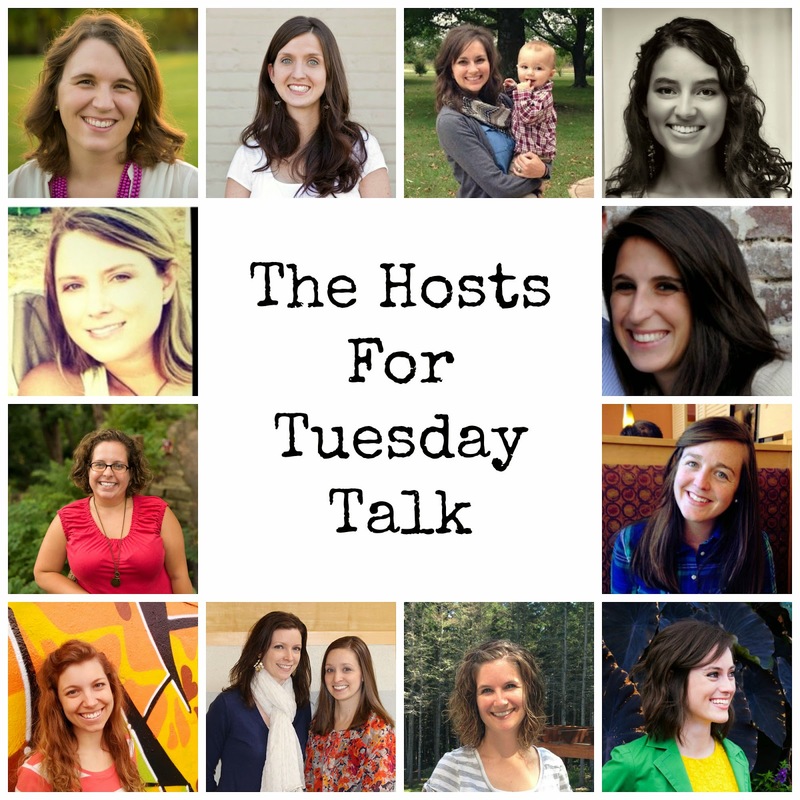 Now, for the first Tuesday Talk Link Up! 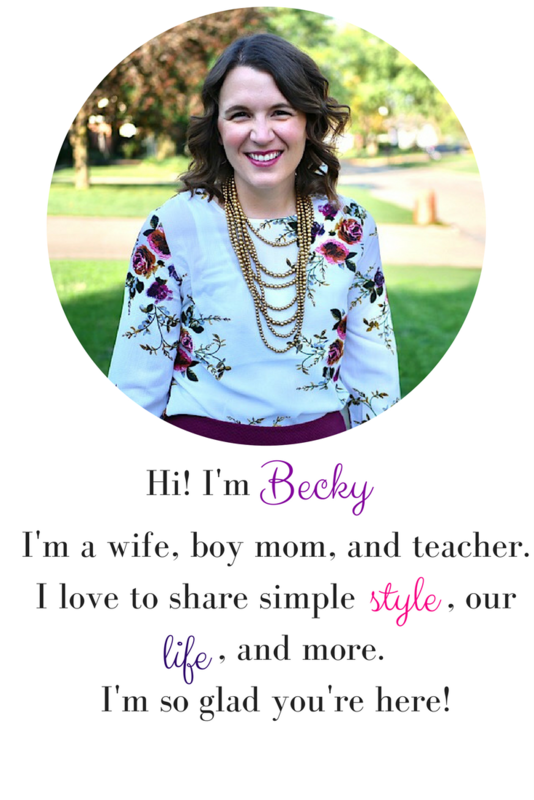 If you're a blogger, I hope you will join us! Your post can be on any topic! If you're a reader, I hope you will check out the great posts! 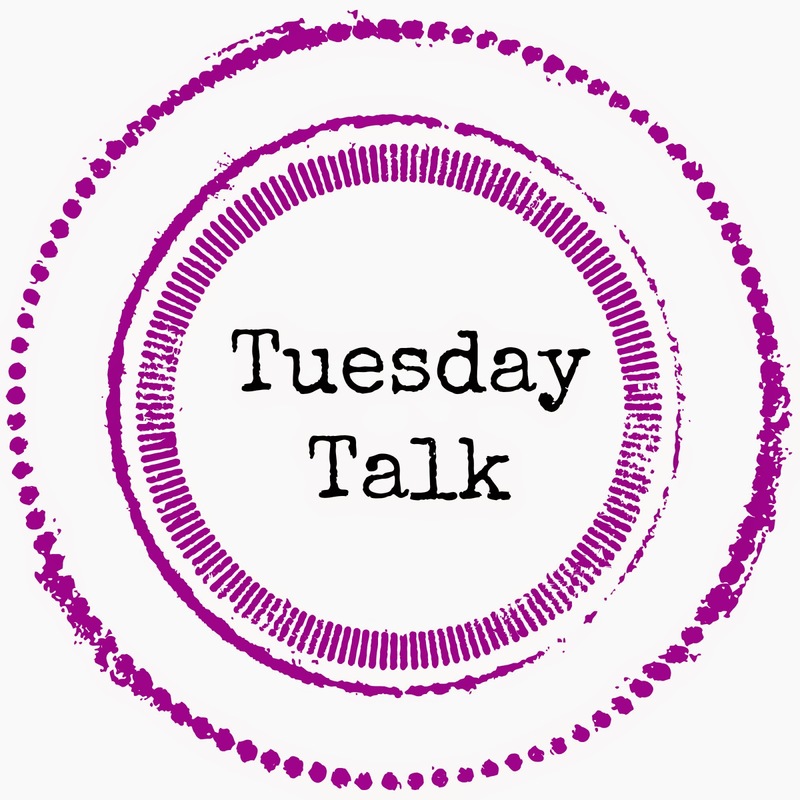 We've started a Tuesday Talk Pinterest Board! Feel free to follow it for some of our favorite posts!